Academics are a sole focus when a child enters a new school year. Whether it’s mathematics, language arts, science or social studies, this is what a student is required to eat, sleep and breathe on a daily basis. Through these core classes, students are expected to excel and show progress throughout the year, but what about those students who want more out of their experience in school than just acing a test? How can someone express themselves in other ways outside of a classroom? Peachtree Ridge High School’s Dance Program, run by Courtney Ondre. Photo by Rick Fender. The simplest answer: dance. There are many electives offered in schools, such as orchestra, band and theatre, just to name a few, but there has not been much in regard to dance unless it is in a studio setting outside of school. Gwinnett County’s Georgia Public School System made the initial change to this dynamic by introducing one of its first dance programs at Brookwood High School. After 15 years under the direction of Anna D’Antonio, Ellen Tshudy took over as head of the dance program in 2008. Tshudy described the challenges she faced in the first few years as a new teacher. Tshudy goes on to say that this was a “natural step” in her career moving from a private studio into a public school setting, and eventually merged her style of teaching with the already established dance program. Collins Hill High School was the next blueprint for a dance program in Gwinnett County. 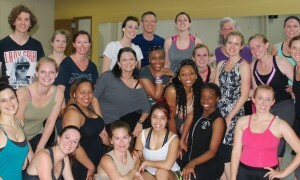 Natalie Dollar, the current dance director, started as a student teacher at Collins Hill. After receiving her dance education degree from Brenau University, she knew that teaching within the school system was the track she wanted to take. Peachtree Ridge High School’s Dance Program. Photo by Rick Fender. Dollar describes the importance of having dance classes available during school, something that is sometimes misunderstood by others. Stressing the importance of the dance programs and the classes within it is half the battle for the teachers in Gwinnett County, but imagine having to start a program from the ground up. This was a challenge that Courtney Ondre took head-on. While Brookwood and Collins Hill continued to thrive with their dance programs, Ondre set out to build a new dance program at Peachtree Ridge High School in 2003, after teaching middle school education. 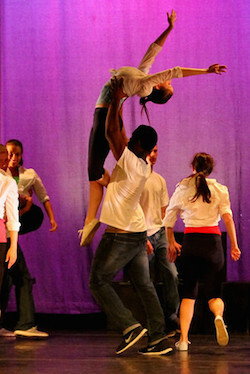 Brookwood High School’s Dance Program. Photo by Jennifer Silas Photography. Since Peachtree Ridge was a new school, the dance program “couldn’t be done halfway,” explains Ondre. With a strong start, she sought to create art with her students and further the dance program in the direction she thought was best. With the incorporation of dance in the school system, the improvements in students’ school work and attitude toward school are commendable. Kids are learning to express themselves through movement, but it’s also an outlet for those who may not have one outside of school. Discipline records are a true testament to the impact that one class can have on a student’s behavior. “It gives you a chance to reach kids who don’t feel connected or needed,” says Ondre. “For some kids, this is their only form of expression, and they have a way to express themselves in a way that’s not negative,” Dollar adds. The hard work and efforts made throughout these dance programs have not only rubbed off on the students involved but on their parents as well. Fall and spring performances reinforce the dance program’s curriculum and give a transparent view of what skills and other great qualities students are taught. There is a sense of accomplishment shared between the students and their parents that manifests and carries on even after the year has come to an end. This, in return, reinforces why the program is worthwhile for the teachers involved and can evolve how dance is viewed by others. The dance programs offered in Gwinnett County high schools in many ways offer a family away from home for students. Some of the programs top the charts at over 100 students and continue to grow bonds and friendships that carry on after graduation. With the life lessons that the dance programs hope to teach, one point was made across the board: fine arts correlate with academics, and should have more relevance not only in high schools but in elementary and middle schools as well. By teaming up extra publicity with recognition of arts in schools, these programs can continue to thrive. 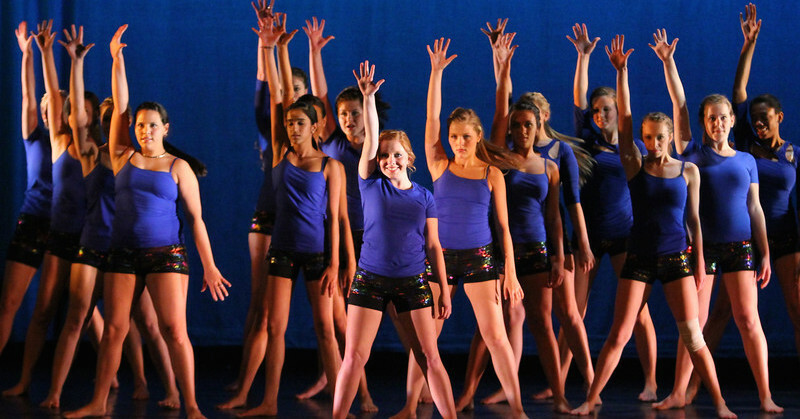 Photo (top): Brookwood High School’s Dance Program, run by Ellen Tshudy. Photo by Jennifer Silas Photography. I work in a private elementary school where dance has been part of the girls (k to 8) phys ed curriculum for decades. It has recently been decided that boys also be required to participate in dance. I don’t know where to begin! I expect apprehension from the majority of boys who would rather be playing games in gym class! I don’t want the boys to be miserable. I will only have the them about once a month! Any advice?